Five boxes of Ham Aid Amateur Radio equipment -- some 400 pounds in all -- left ARRL Headquarters on May 4, bound for the Guayaquil Radio Club (HC2GRC) in Ecuador. The radio equipment will help to support relief and recovery efforts under way in the wake of a magnitude 7.8 earthquake that struck the South American nation on April 16. Valued at more than $7500, the equipment will provide reliable communication in areas where the telecommunication infrastructure suffered damaged. ARRL has donated 400 pounds of Ham Aid communication equipment to support relief efforts in Ecuador following the 7.8 magnitude earthquake on April 16. From left to right: Ken Bailey, K1FUG; Mike Corey, KI1U; Sean Kutzko, KX9X, and ARRL CEO Tom Gallagher, NY2RF. "As we've seen before -- in Haiti and Nepal -- an earthquake can cause long-term disruptions in infrastructure," said ARRL Emergency Preparedness Manager Mike Corey, KI1U. "An Amateur Radio network fills the communications gaps. It can be deployed anywhere, run on solar power, and can function without the Internet or traditional telecommunication infrastructure." Corey said the recovery process can be lengthy, and radio amateurs in the affected area need repeaters, antennas, antenna supports, and many other things to be able to help those disrupted by disaster. "This is what Ham Aid is for -- to enable amateurs to effectively respond following a disaster to help their communities through the recovery process," he said. Most earthquake damage occurred in the Guayaquil (HC2) and Portoviejo/Manta (HC4) areas. Some structures in Portoviejo and Manta suffered severe damage, with many victims buried in the rubble of collapsed buildings and homes. In the immediate aftermath of the disaster, electrical power and commercial telecommunication systems were either destroyed or disrupted, and many roads were rendered impassable because of earthquake rubble. Corey noted that while most Ham Aid deployments have been stateside, the opportunity arose for the ARRL to assist with this international disaster relief effort through the Guayaquil Radio Club. ARRL CEO Tom Gallagher, NY2RF, said, "For more than 100 years, when there is a need, we use our communication and electronics expertise to give back. Amateur Radio answers the call when and where needed." James E. Whedbee, N0ECN, of Gladstone, Missouri, has petitioned the FCC to designate Morse (radiotelegraphy) Amateur Radio band segments as "symbol communication" subbands. The FCC has invited comments on his Petition for Rule Making (RM-11769), filed on May 2. Arguing that retaining the current regime of "legacy" CW subbands has proven "grossly inefficient," Whedbee said he'd like to see the FCC delete all privilege restrictions that limit any part of the Amateur Radio spectrum to Morse code to the exclusion of other modes. "Nostalgia for retention of Morse code telegraphy-only subbands is also an insufficient reason to avoid moving forward to [the] elimination of such subbands, because nothing about this Petition suggests the elimination of the mode itself, only that it not be the sole authorized mode in the subject subbands," Whedbee told the FCC. Whedbee characterized CW-only subbands as "an excessive regulatory constraint, as well as a poor use of the spectrum concerned." He proposed that the FCC's Part 97 rules reflect the "ultimate form of communication reproduced at the receiving end." As he explained it, his regulatory scheme would break down modes into three categories: "Symbol communication mode" -- for CW, digital, and other emission modes that reproduce a discrete symbol on the receiving end; "voice mode," and "image mode." "[C]ontinuing regulation by specific emission designator is proving to be onerous with changes to the state of the art," Whedbee said. "Accordingly, to continue developing the state of the art in radiocommunications, Amateur Radio needs to clearly get away from regulating in that fashion and return to consideration of what the receiving end of the communication reproduces." Commenters have 30 days to respond to Whedbee's Petition. Read more. An ARRL member from Virginia has donated a rare de Forest "round bulb" Audion vacuum tube to the League, which has paired the groundbreaking triode with a de Forest receiver of similar vintage. Walt Bain, W4LTU, recently wrote ARRL Headquarters to see if the League would give the antique tube a home. Radio pioneer Lee de Forest filed his first patent for the Audion in 1907, describing it as a detector of sound, and he is generally credited with having invented the vacuum tube. First used as the detector in the de Forest Audion Receiver, the Audion subsequently was heralded as the world's first electronic amplifying device. Bain, who is 86, said he inherited the Audion from his father, George Bain, a graduate of Wesleyan University in Connecticut in the 1920s, who went on to work for Westinghouse. "In the 1930s he was chief engineer at Ken-Rad Tube and Lamp Company," Bain told ARRL. "He would have met de Forest anytime during college, at Westinghouse, or Ken-Rad." This particular Audion likely dates back to the early 1910s and appears to be a somewhat later version of the device that de Forest had submitted on his patent application a few years earlier. An intact Audion such as this one is considered extremely rare. ARRL Lab Test Engineer Bob Allison, WB1GCM, who curates the League's museum collection, accepted the Audion and had it installed on the League's own de Forest Audion Receiver, which lacked a tube. "Each year, we have about 2000 visitors to the Lab; they will get to see that tube," Allison said. The League's Audion Receiver bears the patents of de Forest's Radio Telephone and Telegraph Company. The Audion's three elements are clearly visible within the blown-glass envelope. Connections to the Audion's rectangular plate and squiggly grid were made via wires exiting one end of the bulb. The other end features a candelabra-style lamp base, which screws into a socket, providing the filament connection. The Audion is mounted with the lamp base up, to prevent the filament from sagging and touching the tube's other two elements. In developing the Audion, de Forest had built on the work of John Ambrose Fleming, who invented a two-element vacuum tube in 1905. De Forest discovered that applying a radio signal to a grid instead of to the filament, or cathode, would yield a more sensitive RF detector. De Forest came up with the idea of using a series of Audions to enhance their amplifying capabilities, an attribute American Telephone & Telegraph company capitalized upon, after securing de Forest's patents. In time, vacuum tubes supplanted solid-state mineral detectors in radio receivers, although in a "what goes around, comes around" turn of events, solid-state devices called "transistors" replaced the vacuum tube in the 1950s and 1960s. Today's iPhones have the equivalent of 2 billion transistors packed inside. A wildfire in Alberta, Canada, that began unremarkably on May 1 as "MWF-009" soon ballooned into a major, fast-moving conflagration, owing to hot, dry weather, high winds, and low humidity, creating a disaster of historic proportions. The flames caused extensive property damage and led to the evacuation of the entire population of Fort McMurray, in the heart of Canada's oil sands country. While the wildfire emergency never became a "communications event," prompting an ARES activation, Radio Amateurs of Canada said, radio amateurs on the ground helped other organizations such as the Red Cross. Alberta Section Manager Garry Jacobs, VE6CIA/VE6OW, reported on May 5 that Alberta ARES went on standby "to provide VHF/UHF linking," although there was no HF activity due to the fact that Fort McMurray had been evacuated. According to the Amateur Radio Coalition, a national ham radio "fan page" on Facebook, PERCS (Provincial Emergency Radio Communications Service) was put on standby to staff the radio room and to establish communication into Fort McMurray, and the club in Fort McMurray was staffing its local emergency communications center in case communications fail. PERCS Alberta Assistant Coordinator Curtis Bidulock, VE6AEW, said the organization directly supports the Alberta Emergency Management Agency and assists all Alberta Amateur Radio clubs with provincial coordination of resources and communication links, as requested. By the end of the first week, some 80,000 residents had been evacuated from Fort McMurray. Read more. "Open Wire Feed Lines" is the topic of the current (May 5) episode of the "ARRL The Doctor is In" podcast. Listen...and learn! Coming up on May 19: "Hunting Down Interference." Congratulations to Larry Burke, K5RK, the first radio amateur to confirm 400 of the 484 eligible NPS units for National Parks on the Air (NPOTA)! As of May 11, Larry had 402 units confirmed. Five other NPOTA participants have more than 390 confirmed, and 18 hams have more than 350 units confirmed. There now have been more than 5100 activations of NPS units in 2016, resulting in 333,000 contacts. There will be plenty of NPOTA-themed activity at Dayton Hamvention May 20-22. Look for the NPOTA booth in the ARRL EXPO area, attend the NPOTA forum on Saturday at 9:15AM, and visit the Dayton Aviation Heritage National Historical Park in downtown Dayton, where two stations will be available to operate (see below). Thirty NPOTA activations are on the calendar from May 12-19, including Oregon Caves National Monument is Oregon, and the Whitman Mission National Historic Site in Washington. Details about these and other upcoming activations can be found on the NPOTA Activations calendar. ARRL has an opportunity for those traveling to Dayton Hamvention® who want to activate an NPS unit for National Parks on the Air (NPOTA)! 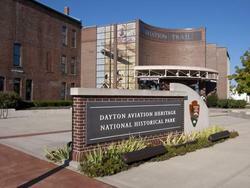 The League has secured an operating permit with the Dayton Aviation Heritage National Historical Park in downtown Dayton. The special NPOTA activity will be available for visiting operators to enjoy activating an NPOTA unit without having to bring their own gear. The event will run from Friday, May 20, until Sunday, May 22, at the Wright-Dunbar Interpretive Center. Operations will run from 9 AM until 5 PM on Friday and Saturday, and 9 AM until noon on Sunday. 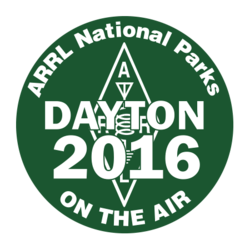 "Dayton Aviation Heritage National Historical Park is excited to partner with ARRL for a National Parks on the Air event during Dayton Hamvention 2016," said Dayton Aviation Heritage National Historical Park Ranger Ryan Qualls. "ARRL's legacy of experimentation, education, and public service is in concert with the National Park Service's mission. We hope that Hamvention attendees visit the park during their stay in Dayton and learn how Orville and Wilbur Wright, two bicycle mechanics from Ohio, changed the world through their experiments in aviation." ARRL Ohio Section Affiliated Club Coordinator John Myers, KD8MQ, is coordinating on-site operations for the event. He is looking for volunteers on Friday and Saturday who would be able to help visiting operators and/or explain NPOTA and Amateur Radio to non-ham park visitors. Even an hour or two of time as a volunteer would be helpful. Contact him to volunteer or to sign up for a 15-minute operating slot. All slots are available on a first-come, first-served basis, and all operators are limited to one slot, to make this opportunity available to as many visitors as possible. "I'm really looking forward to working with the National Park Service and the League to make this location available during Hamvention week," Myers said. Vibroplex is donating antennas mast and hardware to the effort, and ARRL is providing the equipment. 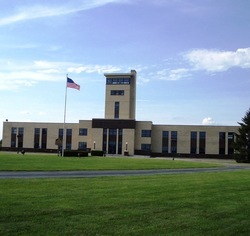 The Wright-Dunbar Interpretive Center is located at 16 South Williams Street in downtown Dayton. The ARRL DX Log Archive has invited anyone planning to attend Dayton Hamvention® to submit hard copy DX logbooks for inclusion in the archive. A major donation from noted DXer Kan Mizoguchi, JA1BK, to the ARRL Second Century Campaign is supporting "The DX Log Archive Endowed by JA1BK," as it's officially known. Earnings from his generous gift funded creation and management of the DX Log Archive, which will serve as a repository of paper DX logs of rare and significant DXpeditions that took place prior to the advent of computer logging, as well as of certain other DXpedition artifacts. Pre-1990 logs are the most sought after. The archive is also seeking paper logs from stations whose operators resided in interesting and/or "rare" places, as well as any pre-1930 logs. "We have listed the first logs that we have in our possession," ARRL Field Services and Radiosport Manager Dave Patton, NN1N, said. "If anyone wants to bring old, interesting logs to Dayton, we will be happy to take them, if they satisfy the program guidelines." Contact the program administrator with any questions or with information about an available log -- or one known to be available -- and the administrator will make a determination. Logs accepted for the archive will be inventoried, preserved, stored, and made available to confirm those long-ago contacts and for use in research projects. The archive also welcomes DXpedition artifacts or documents, such as licenses, landing permits, ship logs, and blank QSL cards. A few logs are now available in the archive database. The International Amateur Radio Union Region 1 Monitoring System (IARUMS) April newsletter chronicles a plethora of intruding signals heard on exclusive Amateur Radio allocations in Europe and Africa, many of these also affecting the bands in IARU Regions 1 and 3. The most significant interfering signals originate from over-the-horizon (OTH) radars in China and Russia and affect 40, 30, 20, and 15 meters. The newsletter also recounts monitoring stations' reports of voice traffic on several bands from fishing operations in various parts of the world, telemetry from marine buoys, and persistent taxi dispatching traffic from Russia on 10 meters. Other interference has stemmed from broadcasters -- harmonic-challenged and otherwise -- as well as from jamming signals attempting to prevent broadcasts from reaching their intended audiences. Pirate (ie, unlicensed) stations have been reported on 80 meters and elsewhere, and Russian digital military traffic has been monitored on 40 and 20 meters. OTH radar interference prevails, however. IARUMS Region 1 Coordinator Wolf Hadel, DK2OM, documented a Chinese OTH radar occupying considerable swaths of spectrum on several bands. IARU Region 1 maintains the world's most active network of volunteer intruder monitors. The deadline to submit nominations for the 2016 Philip J. McGan Memorial Silver Antenna Award is Friday, May 20. Honoring the memory of Phil McGan, WA2MBQ, the first chairman of the ARRL Public Relations Committee, the award recognizes the promotion of Amateur Radio to the general public. Philip J. McGan, WB2MBQ (SK). Each year, ARRL public information coordinators, public information officers, and other public relations volunteers strive to keep Amateur Radio visible in their communities by publicizing special events, writing media releases, creating media for radio and television, and maintaining good relations with local media -- among many other valuable activities. Nominees must be full ARRL members in good standing, may not be compensated for any public relations work involving Amateur Radio, and may not be current ARRL officers, Directors, Vice Directors, paid staff members, or members of the selection committee. Anyone may make a nomination. Nominations must be on an official entry form. Nominations must be received at ARRL Headquarters by the close of business on May 20, 2016. Mail nominations and any supporting documentation to Philip J. McGan Memorial Silver Antenna Award, PR Department, ARRL, 225 Main St, Newington, CT 06111. The ARRL Public Relations Committee will review all nominations and forward its recommendation to the Programs and Services Committee of the ARRL Board of Directors. The Board will make a final determination at its July meeting. Technical Papers are being solicited for presentation at the 35th Annual ARRL/TAPR Digital Communications Conference (DCC), September 16-18 in St Petersburg, Florida. Papers will also be published in the Conference Proceedings. Authors do not need to attend the conference to have their papers included in the Proceedings. The submission deadline is July 31, 2016. The ARRL/TAPR Digital Communications Conference is an international forum for technically minded radio amateurs to meet and present new ideas and techniques. Paper/presentation topic areas include -- but are not limited to -- software defined radio (SDR), digital voice, digital satellite communication, digital signal processing (DSP), HF digital modes, adapting IEEE 802.11 systems for Amateur Radio, Global Positioning System (GPS), Automatic Position Reporting System (APRS), Linux in Amateur Radio, AX.25 updates, and Internet operability with Amateur Radio networks. Submit papers via e-mail or via US mail to Maty Weinberg, KB1EIB, ARRL, 225 Main St, Newington, CT 06111. Papers will be published exactly as submitted, and authors will retain all rights. 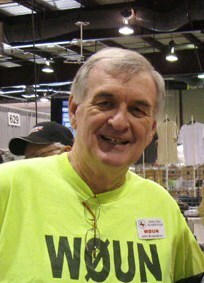 Former Alpha/Power President and Technical Director John Brosnahan, W0UN, of Vanderpool, Texas, died on May 4 after suffering an apparent stroke. He was 71 and an ARRL Life Member. "John was a great family man, a first-rate contester, a DXer, builder, problem solver, businessman, and a help to all who knew him," said Alan Applegate, K0BG, his friend of many years. "He was also one of the most personable people I have ever known." An active contester, Brosnahan was a contributor to National Contest Journal (NCJ) and to the ARRL Contest Update, as well as to various technical forums. He stepped down from Alpha/Power in 2000 citing a combination of health issues and family obligations. 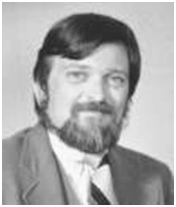 Brosnahan, who relocated from Colorado to Texas about 10 years ago, was a research physicist and developer of atmospheric remote-sensing tools for clients such as the National Oceanic and Atmospheric Administration (NOAA). Applegate said Brosnahan did a lot of the equipment design and installation for the High Frequency Active Auroral Research Program (HAARP) ionospheric research facility in Alaska. Brosnahan founded Signal Hill Research, Tycho Technologies, and LaSalle Research. He contributed technical papers to such journals as Radio Science. 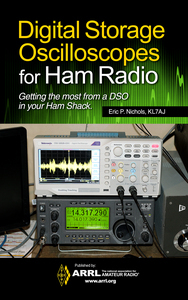 Digital Storage Oscilloscopes for Ham Radio Now Available as E-Book: The ARRL's newest e-book is Digital Storage Oscilloscopes for Ham Radio, by Eric Nichols, KL7AJ. This rapidly developing instrument is finding its way into the Amateur Radio station in many useful and interesting ways. "Recent developments in technology have brought the price of this marvelous class of instruments into the range of every radio amateur's budget," Nichols said. "A limitless variety of routine and exotic tasks in the ham shack can be performed with the aid of the DSO." Digital Storage Oscilloscopes for Ham Radio is an introduction to the capabilities of the DSO. It will help guide you as you consider making your first purchase, which as we will demonstrate, will probably not be your last. To order, download the e-book in the Kindle format from Amazon. Classic Radio Buff John Dilks, K2TQN, to offer "Old Transmissions and Voices of the Past" at Hamvention: Antique radio aficionado John Dilks, K2TQN, who edited "Vintage Radio" in QST for 15 years, will moderate a forum, "Old Transmissions and Voices of the Past" at Hamvention® on Friday, May 20, 2:30-3:30, in Room 5. His presentation will include photos, graphics, and the actual voices of several wireless pioneers relating their personal accounts, including Guglielmo Marconi, Lee de Forest, Hugo Gernsback, Major Edwin Armstrong, and Clarence Tuska, who will describe the start of QST in 1915. Armed Forces Day Military/Amateur Radio Cross-Band Communications Test is May 14: The US Army, Air Force, Navy and Coast Guard will cosponsor the Armed Forces Day Military/Amateur Radio Cross-Band Communications Test on Saturday, May 14, 2016. The event gets under way at 1200 UTC, with activity continuing throughout the day. Some military stations may not operate for the entire period. Read more. The article "Carole Perry, WB2MGP, to Moderate Hamvention® Forums" in the May 5 edition of The ARRL Letter incorrectly indicated that ARRL is the sponsor of the Hamvention Instructors' Forum on Friday, May 20. The ARRL was among the many Amateur Radio businesses and organizations contributing prizes for the forum, but is not a sponsor. Tad Cook, K7RA, Seattle, reports: A whopper of a geomagnetic storm occurred on Mother's Day, May 8, when the planetary A index reached 70. In Alaska, the college A index was 117. Aurora was visible in North America well south of the northern tier of states. The latest prediction has planetary A index at 8 on May 12; 5 on May 13-14; 8, 14, 10, 6, 12, 15, and 12 on May 15-21; 5 on May 22-23; 10 on May 24; 5 on May 25-27; 10, 25, and 10 on May 28-30; 5 on May 31-June 1; 12 on June 2-3; 30, 32, 25, 15, and 8 on June 4-8, and 5 on June 9-10. The planetary A index then rises to 25 on June 25. Predicted solar flux is 97 on May 12; 100 on May 13-14; 102, 105, 99, 93, and 85 on May 15-19; 82 on May 20-22; 85 on May 23-25; 90 on May 26-30; 88 on May 31-June 2; 85 on June 3-6; 90 on June 7-9; 95 on June 10-11; 90 and 85 on June 12-13; 82 on June 14-18, and 85 on June 19. Average daily sunspot number dropped 15.6 points to 59.1 over the past week, and average daily solar flux declined 3.1 points to 88.8. Average daily planetary A index over the same period doubled from 11.3 to 22.6, and average daily mid-latitude A index rose 3.9 points to 14.6. Sunspot numbers for May 5 through May 11 were 55, 56, 51, 42, 68, 70, and 72, with a mean of 59.1. The 10.7 centimeter flux was 87.1, 89.6, 88, 85.6, 88.5, 88.7, and 93.9, with a mean of 88.8. Estimated planetary A indices were 8, 15, 10, 70, 33, 16, and 6, with a mean of 22.6. Estimated mid-latitude A indices were 7, 12, 9, 32, 21, 15, and 6, with a mean of 14.6. In Friday's bulletin look for an updated forecast as well as comments and questions from readers, plus a review of our moving average of sunspot numbers.